As Servants 4 Him has served and worked in Guatemala we have seen and learned that there are many pastors and church leaders who do not know the Bible. Many pastors rely on messages others have taught or teach from their limited understanding of the Bible. Consequently the churches they are leading are not well fed. S4H has the vision to start a Bible School or School of Ministry to train these pastors and leaders. The foundation of the training is discipleship and disciple making. 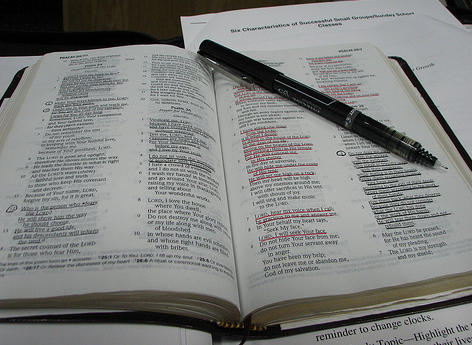 Second is to teach how to do inductive Bible Study. Using this as a launching point, books of the Bible will be taught so that the pastors know how to study and teach epistles, historical books, poetry books (like Psalms), major and minor prophets, and parables. Many of these pastors and church leaders have limited formal education. The areas they serve in are frequently oral learners. To meet this need we have also incorporated “story telling” as a means of teaching the Gospel. It involves memorizing sections of the Word (stories) and then teaching it through inductive study methods orally. It has been received well. Many who thought that they could not know God because they did not have the ability to read now know God’s Word and God’s heart for them! In addition to teaching the Bible, students will be taught some hands-on, practical ministry tools including construction and installation of bio-sand water filters and fuel efficient stoves, and basic health and hygiene. In 2011 Servants 4 Him hosted Inductive Bible Study training classes in borrowed or rented space and we will continue to do this until we have a facility. The God-sized vision is to acquire a large piece of property, 2 or more acres, to build the school (class rooms, dorms, and offices), workshop for teaching water filters and stoves, and housing for S4H missionaries and resident staff (teachers, etc). We need large donations and grants to acquire land and build facilities.